The Gordonville Auction was the biggest “mud sale” you have ever seen. 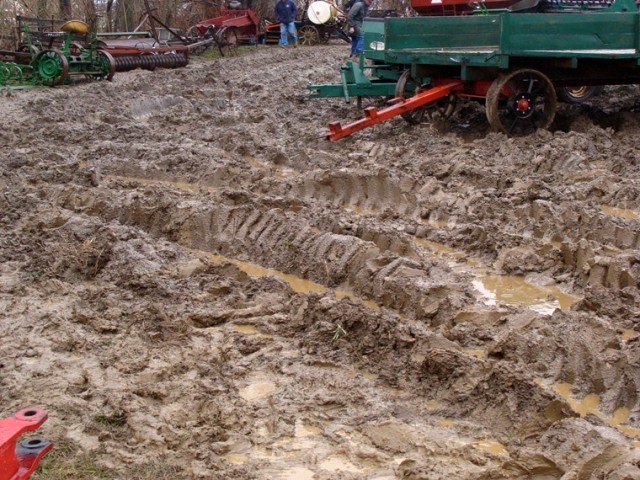 The local fire company auctions are affectionately called “mud sales” because the fields get little muddy in early spring. Well, they hit the mother lode yesterday because the 4 inches of rain that fell turned everything into mud. It was the muddiest, wettest, coldest and most windy mud sale ever. And I have the photos to prove. 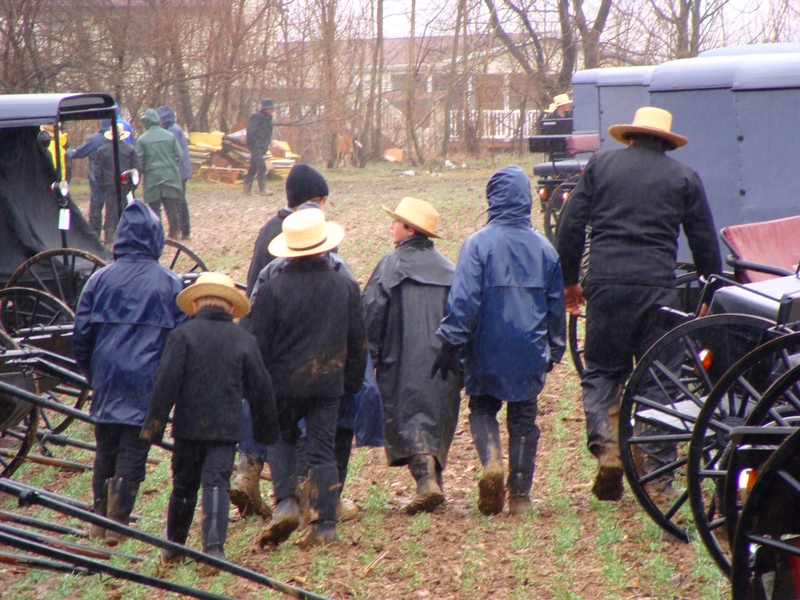 This did not deter the Amish, the real farmers or this faux farmer from attending. But I have to tell, it was a real freaking mess out there. 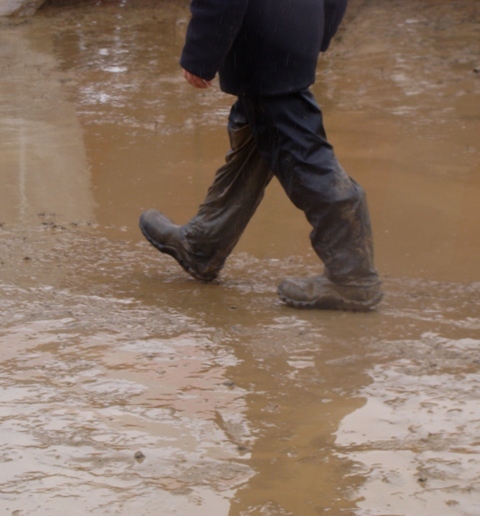 It was the kind of mud that if you walked too fast your foot came out of your boot cause the boot got stuck in the mud. Then of course you were left standing there like a flamingo on one leg trying to get your bootless foot back into the boot you left three feet behind you. Not that this happened to me of course. 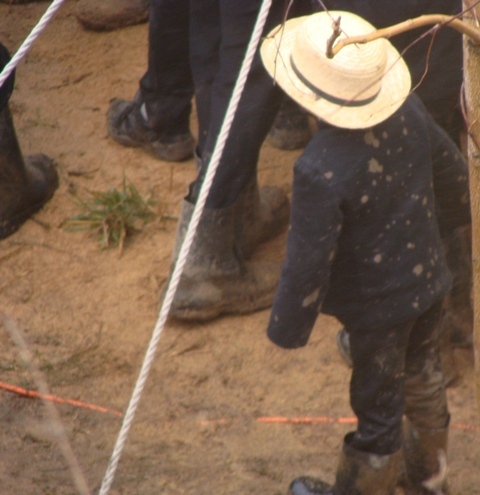 The water and mud were everywhere, even inside the tents. If you dressed properly it wasn’t too bad, well, it was bad, but not awful. Ok, it was really awful and really cold and really windy. There I said it. My friend Adam, who was supposed to come to this with me bailed a few days ago when he heard the weather report. I know he was sitting at home yesterday all comfy and dry thinking about just how muddy it was at the auction. 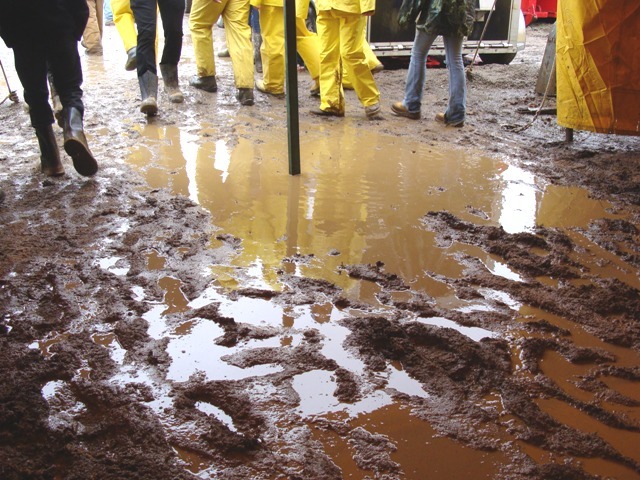 OK, Adam, is this muddy enough for you? 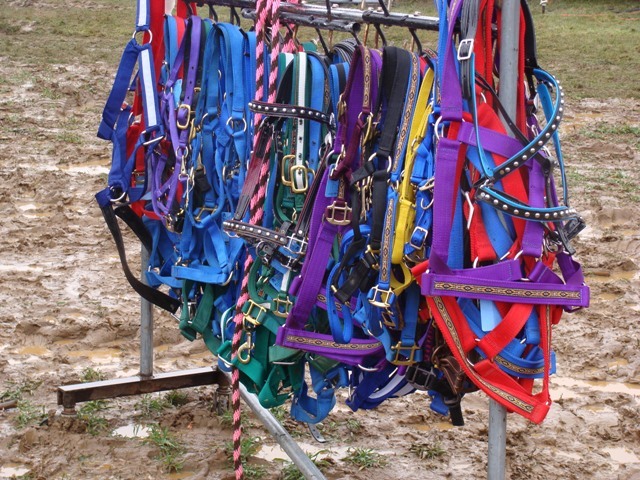 These halters were the most colorful thing my camera could find. They stood out like they were glowing. Of course, you missed great photos like this Adam! If I still had my tele-photo lens I would have gotten some more great shots. Of course, if all my camera gear not been stolen I don’t know if I would have taken it out in that weather. Did I tell you how awful it was out there? IT WAS FREAKIN MISERABLE. But just remember, I showed up.